A billboard for Australia Day, featuring two young girls in hijabs, has been taken down in Melbourne after threats were allegedly made to the media company who designed it. According to the Victoria government, the outdoor media company QMS chose to remove it after receiving a number of unspecified threats. The advert was promoting an Australia Day festival in Kings Domain Gardens sponsored by the Royal Automobile Club of Victoria. Where in Melbourne is this Billboard located? @RaeleeBee@Margi1959@w0tn0t Should be an outback barbie with a kangaroo, emu, and a digger cooking a colossal pork, er lamb, chop! Users opposed to the billboard then celebrated its removal on social media. 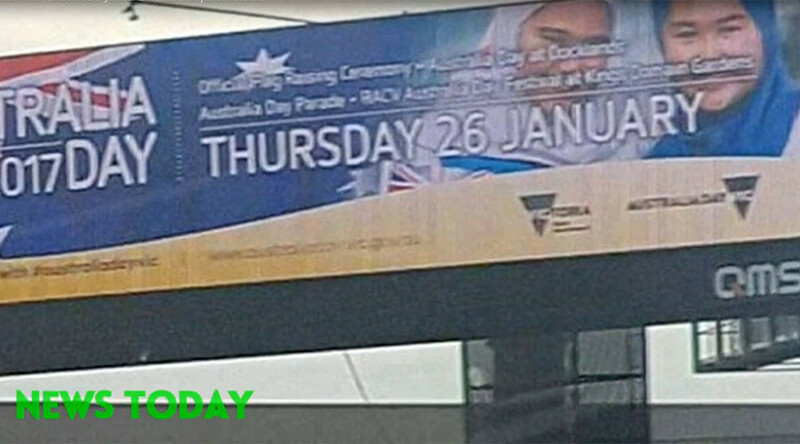 #auspol Terrible, disgraceful leftist Australia Day billboard pulled down. A victory for the patriots! #Australia Day Billboard pulled down! This is Australia NOT Saudi Arabia! Others however were perturbed by what they saw as anti-Muslim prejudice. "WHY DONT MUSLIMS SUPPORT & EMBRACE AUSTRALIA?!" The reaction to the billboard was also criticized by Robin Scott, the Minister for Multicultural Affairs for the state of Victoria. QMS has not yet issued a statement over the billboard or the alleged threats, but the controversy recalls an incident back in 2015, when a company was forced to pull its Arabic-language adverts from a Sydney shopping center after its staff was threatened. “Increasingly, any visible portrayal of Australian Muslims or any diversity for that matter, in connection with a public campaign is becoming the subject of backlash from small but vocal parts of the community,” Mariam Veiszadeh of Islamophobia Register told news.com.au.